Affinity Marketing programs bring savings for products and services while providing proceeds that fund the continuous improvement and expansion of alumni and parent programming. When it comes to these programs, we understand some alumni have concerns. We created this page as a resource to allay those concerns and remain transparent as we seek to provide the best quality programming, engagement, and service opportunities. If you have questions, review our list of FAQs or contact Mike Wilson '88, executive director of alumni and parent engagement. 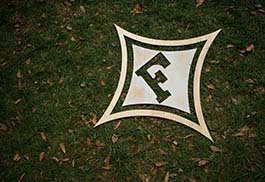 Herff Jones: Herff Jones is Furman's designated partner for class rings, diploma frames, and graduation announcements. Have questions? Visit our collection of affinity marketing frequently asked questions.